Dexter needs a lot. To donate to Dexter, email dexterdramas@gmail.com and ask for details. Thank you to everyone who has helped Dexter! Your kindness and generous support makes a huge difference in our lives! Approximately $2000 gets Dexter one fortnightly hour of physiotherapy sessions for a year. We've been able to purchase so many important pieces of equipment, resources and therapies for Dexter. Cerebral palsy is expensive, but we have a great community. You can click on the pictures or links to read more. A Light Wall - for Dexter's vision. A wall could be built, to incorporate a lighting system, and a pattern or timber cutouts. With the back-lighting, the wall could be lit up in Dexter's best colours. Wheelchair Snow Skiing - Why not?! Imagine how fun that would be! Thanks to The Brooding Italian for fortnightly therapy in 2014. Fortnightly physiotherapy costs about $2000 for a year. Occupational Therapy - Dexter has very limited access to these resources. Occupational therapy improves Dexter's fine motor skills and manual dexterity; such as putting food into his mouth. Hydrotherapy - Dexter loves hydrotherapy; it calms him, develops muscles, aids his breathing and increases spatial awareness. Dexter has had a few hydrotherapy sessions, and we try to get him to the pool most weekends, where we do the therapy ourselves. A Hydrotherapy Pool - Being unable to walk, hydrotherapy is an excellent form of exercise, for Dexter. He loves the water, and it helps develop and strengthen his muscles. His cerebral palsy means he needs heated pools, as his muscles quickly become cold. A big dream would be to have a hydrotherapy pool in the backyard, where we could access it regularly. Swimming is good therapy for Dexter. 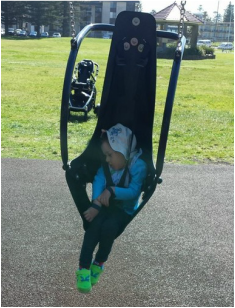 We take him to the Kiama Leisure Centre. **Dexter had his hip adduction surgery in January 2014, so swimming was not possible for 6 weeks. We're back in the water now, rebuilding muscles. Dexter loves the water. 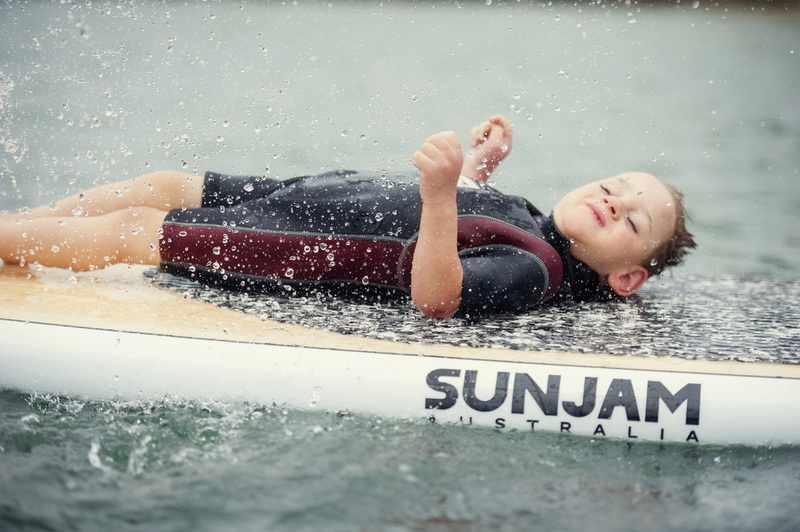 He loved his days on the paddle board, so we would love to get him some kind of board or boat, so we can take him out on the water. Dexter is non-verbal at the moment, but is developing some words. overlays and is lightweight and portable. Once, the word 'wheelchair' had us shuddering and cowering with dread and fear. Now, a few years along on our journey with cerebral palsy, we are ready to enter the wheelchair world. 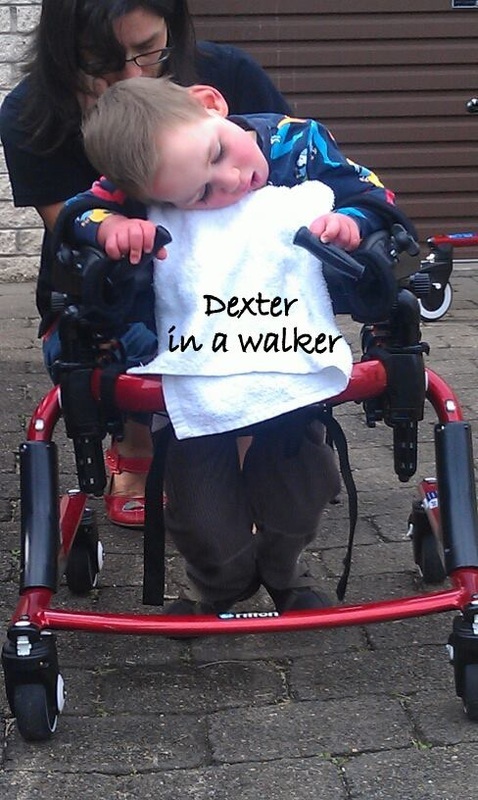 We've started the process of getting Dexter his first wheelchair. The wheelchair (with modifications for additional support) will cost approximately $13,000 - $14,000. 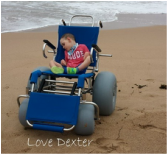 Dexter was given a beach wheelchair! Thank you! He's three, and this will be his first swimming/beach summer, after chemotherapy and his hip adduction stopping him from swimming his first two summers. Read about the One Fitness 24/7 Beach Wheelchair here. A Van - We bought a van, which, when Dexter has a wheelchair, will be modified to accommodate him and his chair. A swivel seat for Dexter would be ideal, as it's becoming difficult to put him into his seat, and it often hurts our backs as we lift and turn him. We're not sure how much the modifications will cost. Thousands! Lenice needed to sit with Dexter, supporting him while he used the toilet. He very quickly learned to use the toilet for his bowels. Her back was suffering and he needed a toileting chair. We got one from the PME company. 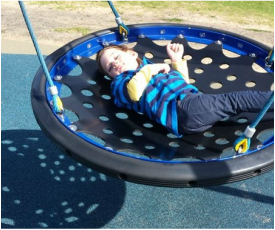 This is 4 weeks of therapy: "a holistic approach, focusing on the skills needed to become more independent. It combines medical knowledge and educational methods to enable individuals to learn how to gain control of motor functions." Read more here, here, here, here & here. This is a supportive 'seat', which would allow Dexter to sit in swings, in shopping trolleys, and at the dining room table! It’s flexibility of design allows GoTo to be fitted safely to any standard dining chair, supermarket trolley or bicycle seat. With GoTo, you can go do anything! See it here! High/Low Chair - Being unable to feed himself, Dexter will most likely need a high chair for some time. He needs support and cannot sit on a regular chair. The High/Low chair is height adjustable, allowing Dexter to be close to others, whether they are on the ground or at a table. Read more about the chair here. The Floor Surfer is a roller board for play and therapy. It's for play develops motor skills. Bought by a lovely friend! Thank you! For fun, we push Dexter around, chasing after his sister. We could never do that before getting this! We got Dexter a year's membership. The DSA website is fantastic - check it out for more information. **Had our first surf in April 2014! Read about it here. Dexter is getting ready to learn to feed himself. He will have most success with specially designed bowls and spoons. An anonymous friend bought Dexter a mobility walker! Thank you! Dexter won a $5000 grant, which will covered most of the cost. Thanks voters! $1200 was donated by Kiama Lions Club. Thank you! Little Room - This is wooden box, which fitted out with light and noise making items. This helps to promote visual stimulation. Thanks Uncle Rik for making this, & for Mum, for buying the things inside it! A generous donation! Thank you! Dexter has enjoyed musical therapy sessions, using a large screened ipad. His fingers open to use it and bright screen colours attract his attention. Mum and Dad bought one! In November 2013, Melissa Tierney held a fundraiser and raised $10,000. Thank you, Melissa! (Therapy in Adelaide, sleepform mattress & a bike (modifications paid for by the Minnamurra Lions Club and the bike was made by TAD NSW). Brewing it for Dexter - The Brooding Italian cafe in Kiama raised $2586.35, enough money to fund fortnightly physiotherapy sessions for Dexter, for one year. Therapy will be one hour sessions, with the highly regarded physiotherapist Zoe Atkinson. The Clarke family 2013 Christmas light display raised $2000. The Minnamurra Lions Club raised $5500 from a Christmas 2013 raffle. We scraped together about $1,500 in donations for Dexter. We got a MYGO high lo chair for $8,900. Thanks to the PT Cruiser Downunder (NSW) Inc Club for raising $1,700 for Dexter in April 2014. The money is being put towards the toilet/shower seat. Dexter will be able to use the toilet, without being held. This may seem like a small thing, but it will be wonderful for Dexter, and his parents. Lenice's Makeover - Thanks Melissa for organising it and to everyone who made it come true. Massage - A caring friend has been paying for Lenice to have fortnightly back massages. These are not relaxation massages, but painful massages, to help reduce the damage to her back, that is caused by constantly lifting and moving Dexter. Lenice has been told she needs to receive these massages weekly. Without these massages, Lenice would be in much more pain and everything would be more difficult. When Lenice receives her massage, Dexter also receives a 5-10 minute bowen therapy massage. Dexter receives this as a 'gift' from the massage therapist. Since Dexter began his bowen therapy, his reflux has gone and he is more able to enjoy his exercises. ***Due to her pregnancy, Lenice is not currently able to have these massages.